After the entry of Indian smartphone companies like Micromax, Karbonn, Lava, XOLO etc into the Android Smartphone business the tides have changed totally in India. With quad-core smartphones available at a price less than ₹10,000 the ball game has totally changed and it blew sales of Major Android smartphone makers like Sony, Samsung, LG etc. While high configured smartphones are available at dirt cheap price; one thing that has plagued the Indian smartphone scene is poor built quality. Almost all Indian smartphones (re-branded Chinese smartphones) offers high spec’d devices with poor built quality and there is no guarantee that these phones could stand the test of times. So I’ve searched and compiled a list for you consisting of the best 3 Android Smartphones from Indian companies which have great built quality along with great performance. Micromax Canvas 4 A210 was the first android smartphone from Indian telecom company Micromax to come with a better built quality as compared to any re-branded Chinese smartphones. It somewhat looks similar to Samsung Galaxy S4 with even the capacitive buttons similar to the Galaxy S4. The A210 is the best built smartphone with great looks and design. One thing that makes the phone sturdier is the aluminum chassis that run all along the edge of the phone which even acts as an antenna with looks similar just like the iPhone 5. The phone comes with a removable plasticky back cover which hold two SIM cards, battery and non hot-swappable memory card. And if you didn’t knew Micromax Canvas 4 A210 is a re-branded Blu Life One Android smartphone. Since the success of most of Micromax Canvas smartphones; it launched Turbo A250 with great enthusiasm and choose Hugh Jackman as its brand ambassador. A250 which is a successor to the above mentioned A210 has built quality better than it. Micromax Canvas A250 has aluminum casing at its back just like the HTC One which scores high point in terms of built quality and since its uses aluminum chassis it even manages to be light weight with only 137 grams. The battery here is not user replaceable which mean who cannot remove the battery without using screwdrivers only the top part of the phone where the camera resides can be opened to insert SIM cards. The phone can take a couple of falls without giving up. The buttons on this phone are also sturdier unlike any other Indian Android Smartphone. The phone is currently priced around ₹15,699 on Amazon India. Well if you haven’t heard about this smartphone then don’t worry because you’re about to. Iris Pro 30 is a recently launched Android Smartphone from LAVA. It has a premium built quality like any high-end smartphones within a budget segment. You’d be surprised about the built quality and sturdiness this phone provides at an MRP of ₹15,999. Unlike the above two phone Iris Pro 30 has a chassis built using magnesium alloy which makes it very light weighing only 114 grams; similar to that of Apple iPhone 5s. The button built around the smartphone are sturdier with no squeaking. The back panel is made up of plastic and is removable though. You can find the complete specs of the phone here. Hey would you like to more about smartphones under Rs. 20,000, Click Here. Hi, I log on to your blog like every week. Your humoristic style is witty, keep doing what you’re doing! Thank you for your comment. Next time do try and write your real name. No I believe spelling mistakes is a serious issue. There are some posts which I haven’t proofread. Thank for your suggestion still. So these phones are just available in India? Exclusive there? Yes Kathyrn these smartphones are available only from Indian mobile companies. But since these are rebranded you could find similar models from other companies too if sold. 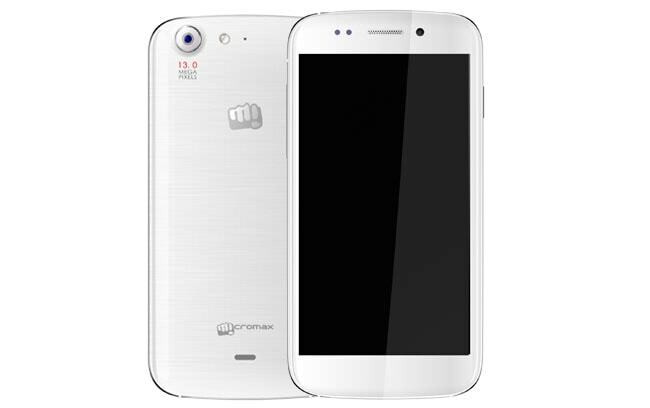 Micromax sells its smartphones in UAE, India, Sri Lanka, Bangladesh and Russia. Could you specify which country are you talking about? No! you won’t get these phones there. Except the LAVA Iris Pro 30, Micromax Canvas A250 and A210 are re-branded phones. So try to get one of those. The post has a unique and catchy title. You’ve managed to drive me to read this post with enthusiasm and curiosity! There is a point I would like to discuss here. I don’t think Micromax deserves to be here! The smartphones are purchased from Chinese OEMs and just rebranded before selling. Same is the case with Karbonn. I would suggest to include XOLO here. XOLO has manufactured sturdy devices and bring with them a variety of processors, like Intel, and not just Mediatek like Micromax does!!!! PS: You can see the Micromax post in my CommentLuv post link!! PPS: I have shared this post too! Now Micromax have introduce Canvas Mega & Canvas Mega 4G. These are next generation phones and have great features. The smart phone lovers would love the features definitely. Great informative post indeed.. I really like this article on smartphone of India market. I like to use the Indian market product, you know. I hope you are familiar with make in India. cheap and best features. Specially Lava Iris pro 30 is superb. I hope Indian people also like to use these smartphones according to their latest features on low budget.